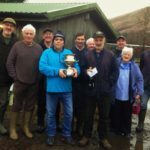 Tarbert Gun Club members had a busy weekend recently when they took part in a charity afternoon and their winter league February competition. 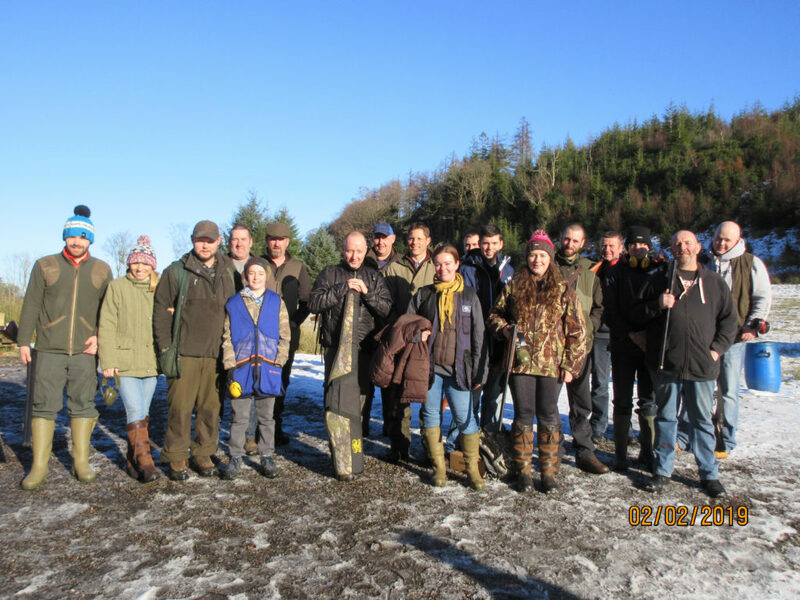 On Saturday February 2, Craig Samborek invited workmates and friends along to Barmore Shooting Ground to break clay targets. Although billed as a ‘fun afternoon’, it got a bit serious as Steph Kirk was in top form. Her colleagues challenged her on the down the line stand. The real winner, though, was the Scottish Air Ambulance as £500 was raised for its funds. The club thanks everyone involved. 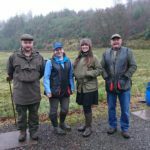 Sunday February 3 saw 10 teams of five shooters trying to increase their scores in the winter league. Some did, some didn’t. You would have thought the lying snow would make the targets easier to see, but it had the opposite effect and it was a struggle to pick out the clays. Archie MacGilp Junior’s team was top lot on the day. John Weir and Brian Baird were the top individuals. Class A: 1 John Weir and Brian Baird; 2 Andrew MacDonald; 3 Jack Campbell. Class B: 1 Matthew Peden; 2 Jonathan Gargan; 3 Stephen MacSporran. Class C: 1 Billy Bergant and John Cupples; 2 Andy Peden; 3 Craig Samborek and Derek Ballantyne. Class D: 1 Roy Laird; 2 John Winnard; 3 Shaun Johnson. Class E: 1 Sinclair MacKinnon; 2 Chris MacEachren; 3 Bill Bidmead and Martin O’Keeffe. 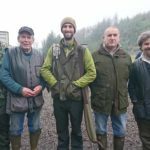 Winning team: Archie MacGilp, Jonathan Gargan, Andy Peden, Roy Laird and Martin O’Keeffe.